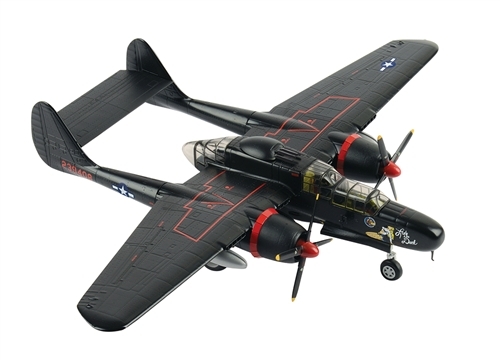 Air Force 1 Model Company represents a new line of multi-scale, die cast warbirds. Each model features engraved panel lines and simulated rivets, a detailed cockpit with a pilot figure and an opening canopy, movable flight control surfaces, fuselage- and wing-mounted fuel tanks and missiles (including AGM-84 Harpoon anti-ship missiles), realistic M61 Vulcan cannon ports, a detailed air intake and engine exhaust, extended landing gear, and authentic markings. Arrives ready to display. Our Price: $114.99 Sold Out!